The Rock and Roll Hall of Fame has finally released its 2019 inductees. This year there are seven inductees. The Cure, Def Leppard, Janet Jackson, Stevie Nicks, Radiohead, Roxy music and The Zombies. 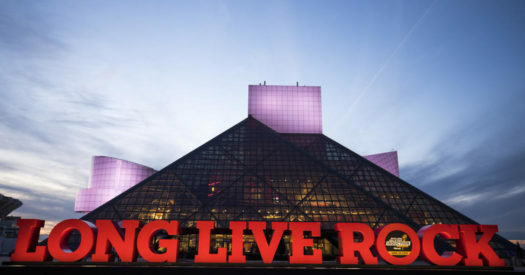 The Rock and Roll Hall of Fame is known for recognizing the best and most-known artists, musicians, engineers. They look for characteristics such as how they influenced life, culture, music and so much more. The Hall of Fame was founded in 1983. The first, ever, group of inductees was announced to be put into the Hall of Fame, was in the year 1986. There were a total of ten inductees, some including Elvis Presley, Chuck Berry, Jerry Lee Lewis and others. According to Ohio History Central, there are four categories that an inductee can be put into. There are performers, non-performers, early influences, and side-men. Also, you cannot be inducted until twenty-five years after the release of your album. In 1983 over 600,000 signed a petition to have the Rock and Roll Hall of Fame be built-in Cleveland. Janet Jackson’s first album debuted in September of 1982. She was first able to be an inductee in 2007 but she was not nominated until 2016, 2017 and this year, 2019. She is placed in the performers category. In 1975, Stevie Nicks became a sensation after being signed by Fleetwood Mac. She has won five Grammy awards and is the only woman to be inducted into the Hall of Fame twice. Her first career album, Buckingham Nicks, was released in 1973 with Fleetwood Mac before her rise to fame. Her first eligible year to be inducted was 2006. The Rock Hall has amazing nominees every year. Since it’s in Cleveland, it will never die. Cleveland is a bright light.